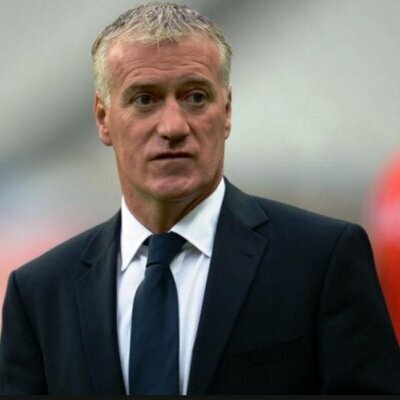 France manager Didier Deschamps has admitted that Olivier Giroud needs to find a goal in order to regain his confidence. The Chelsea striker previously netted during the friendly win over the Republic of Ireland in May and he has since gone 10 matches for the national team without finding the scoresheet. As such, there have been plenty of questions raised regarding Giroud’s form but Deschamps has defended his compatriot by citing that the marksman is presently the country’s fourth highest goalscorer (31) alongside Zinedine Zidane. In an interview covered by Goal.com, he said: "It happens to attackers that they have a longer or shorter period where they are not always efficient. "Before that period, he scored several consecutive goals. He is our fourth best scorer.“It is important, he has a different game. He is not in the profile of other players. “ When he is not there, “we realise how useful“ he is to us even more.Obviously, he must focus on finding that goal. Personally, I do not hide that it would do him good, like any attacker who is less effective." Giroud had contributed four goals from five matches before the summer World Cup but he could not make much of an impact at the global tournament where Kylian Mbappe was immensely influential towards France’s World Cup triumph. Since then, he has been confined to a bench role under new Blues boss Maurizio Sarri but he has still managed to make Deschamps squad owing to his excellent ability to hold-up play for his teammates. Nonetheless, Giroud may need to break the scoring drought sooner rather than later or else, he could be replaced by someone like Alexandre Lacazette, who has looked lively in the Arsenal shirt since the start of the season. The Frenchman has been ignored for national team duties since November 2017 but a continuity of his good form for the Gunners, should encourage Deschamps to recall him.